The Call is Free,The Consultation is Free. If you’re looking for a personal injury lawyer, you’re likely facing medical expenses, time away from work, and other problems you wish you didn’t have. At Boller & Vaughan, our attorneys understand that this is a stressful time for you and your family, and that you need an advocate who will protect your rights and fight hard on your behalf. Our accomplished attorneys are dedicated to helping injury victims and their families recover the financial security they need and sense of justice they deserve. With three lawyers and two paralegals, our office may be small. But we have the resources and trial experience necessary to take your case to court when insurance company settlement offers are unfair. Our attorneys believe that a personal approach is the most powerful method for building a strong personal injury claim. We go beyond the facts and numbers in your case to learn how your injuries have affected the daily lives of you and your family. This helps us present a comprehensive, meaningful case to the jury in the event that your case goes to trial. We care about our clients, our families, and our community. 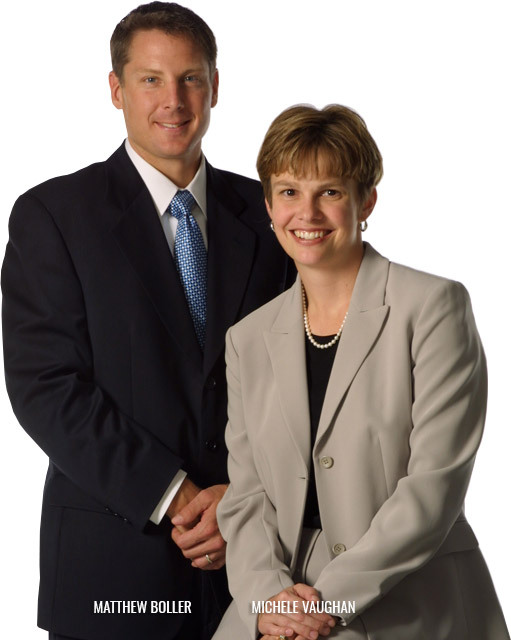 Our firm developed a Child Identification program within the greater Madison community to help kids and families. The ID includes a photo of the child, name, date of birth, height, weight, eye color, and other important information so that if a problem ever occurs, important identifying details are readily available. If you were hurt or a loved one was killed as a result of someone else’s negligence in Wisconsin, please call the injury lawyers at Boller & Vaughan at 608-268-0268 or contact our attorneys online. Your initial consultation is free, and if we agree to handle your case we will work on a contingent-fee basis, which means we only get paid for our services if we recover compensation on your behalf. After my husband died as a result of a motor vehicle accident, Boller & Vaughan spent countless hours talking with me, meeting with me in person, and making sure that I was okay. The drunk driver who hit us did not have any insurance, and we had to make a claim through our own insurance. Boller & Vaughan was fantastic at explaining the law to me and the handling of our claims.